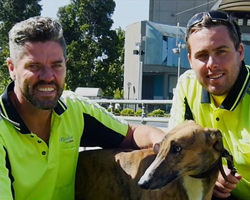 Meet the people of Victoria’s greyhound racing community & discover how much greyhounds mean to them. 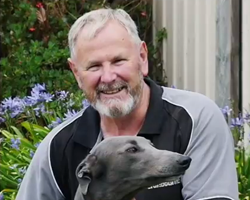 Greyhounds are My Life profiles some of the 17,000 people involved in greyhound racing across Victoria. 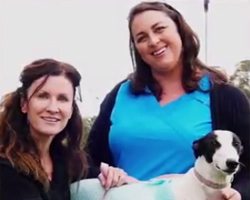 They come from all walks of life, but are united by their common love of greyhounds and by how they put the welfare of the dogs and the integrity of the sport first and foremost. 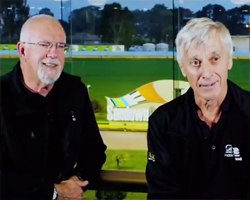 Their stories also highlight their connections with their local greyhound racing clubs and how Victoria’s 13 greyhound racing clubs are part of their communities, creating jobs, social and professional networks and supporting local groups and causes. Profiles are being released before each Club’s annual Cup. 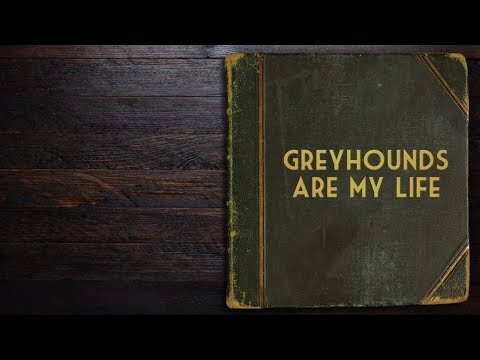 When Olivia’s husband bought a greyhound to race one day, she had little idea she’d end up breeding around 100 of them over the next ten years. 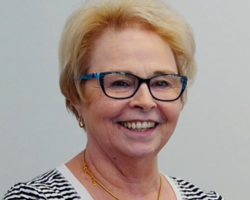 Committed to finding good homes for her dogs once they retire, Olivia socialises them from birth with the enthusiastic help of her children and family cats and always offers to take back dogs she’s sold if they need re-homing.